If you happen to have a copy of GMT's 'The Spanish Civil War' tucked away then I would be seriously interested in it. Sorry, no. There was one called Espana 1936 in there but it went missing with 7 other titles. 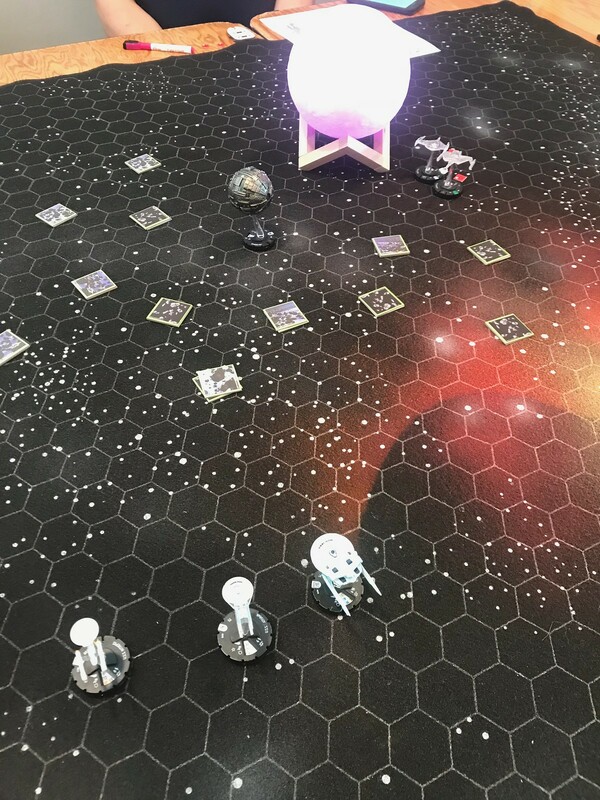 Some random shots from a few games I ran over the weekend at the Con. Tide of Iron. 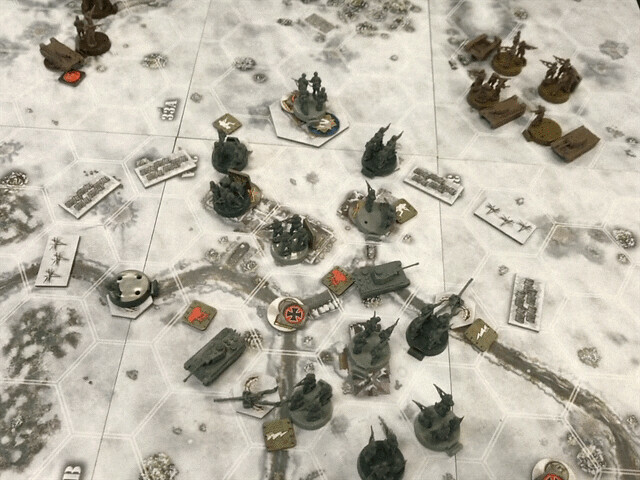 Meatgrinder scenario. My opponent played as the Soviets. It was his first time at the con and his first time trying out wargaming (he got into the hobby via MtG, Euros, and Warhammer 40K). He lost badly as he wasn't familiar with concepts such as overwatch, suppression, using smoke, etc but he seemed to enjoy the game and was disappointed to hear it was out of print. Our three Spanish 1st rates are at the bottom of the screen (mine's in the lead). 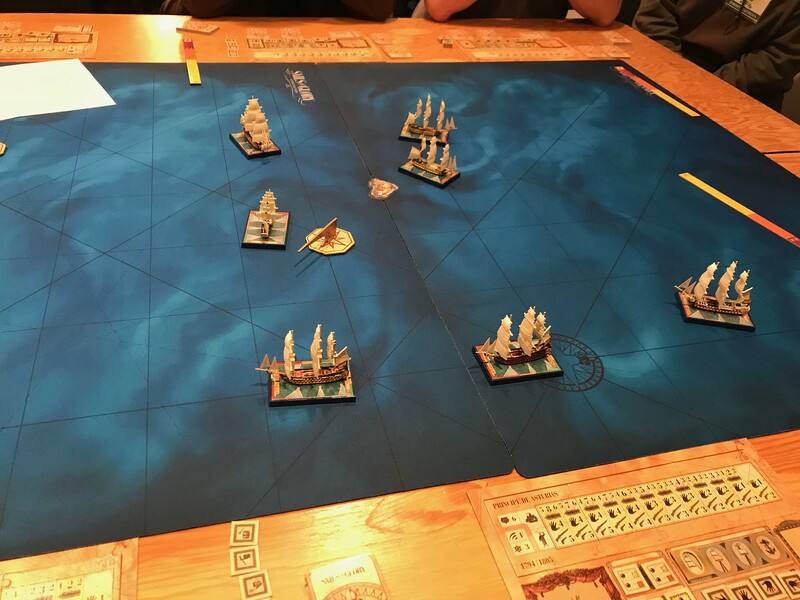 Crashypants' frigate is in the middle of the map making a beeline for the HMS Victory while two other British Ships of the Line angle to cut off our rear-most ship. Despite a few setbacks in the big minis games I ran, I enjoyed myself quite a bit at this con. I was able to sell off a good chunk of my friend's collection and get almost $4,000 for his wife. Got in a really fun game of Ascendancy. Ran a game of Pendragon which was fun. Played the hell out of Down in Flames: Lock-On at the sales table. Chatted with a lot of gamers and made some new connections. Ate too much, drank too much, didn't sleep nearly enough, and won a free game as a door prize. Looking forward to next year. I would have loved to been there to watch Sails of Glory and Federation Commander.